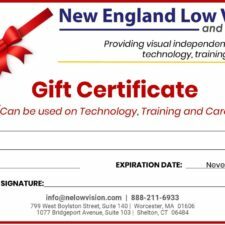 Welcome to the new age of portable video magnifiers! 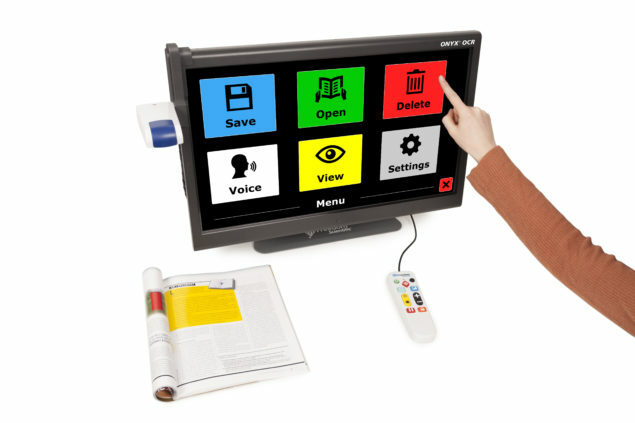 For those looking to combine magnification and speech, the Onyx OCR Portable Video Magnifier is the system for you. 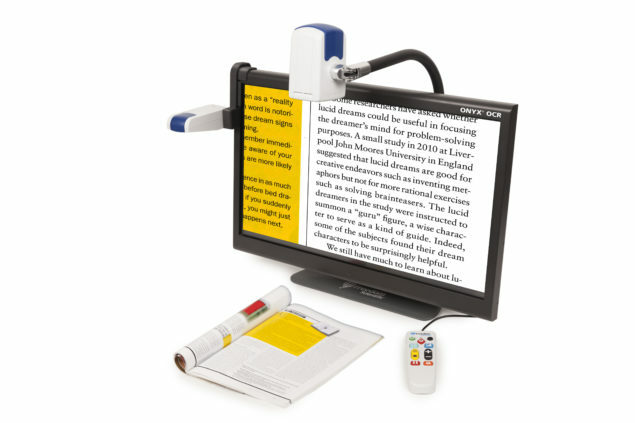 The state-of-the-art design integrates two cameras and a 24-in touchscreen and allows you to view full letter pages on screen and magnify up to 131 times. 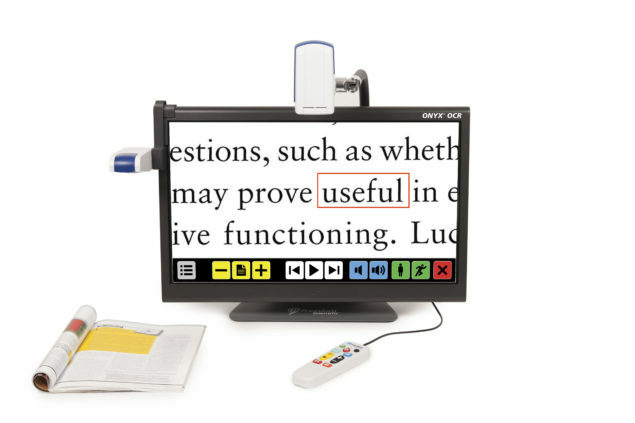 The Onyx OCR Portable Video Magnifier offers magnification and reads any document aloud. 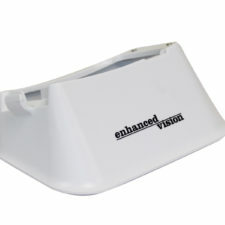 The magnification, high contrast, and clear voice improves reading clarity and accuracy and makes it much easier. 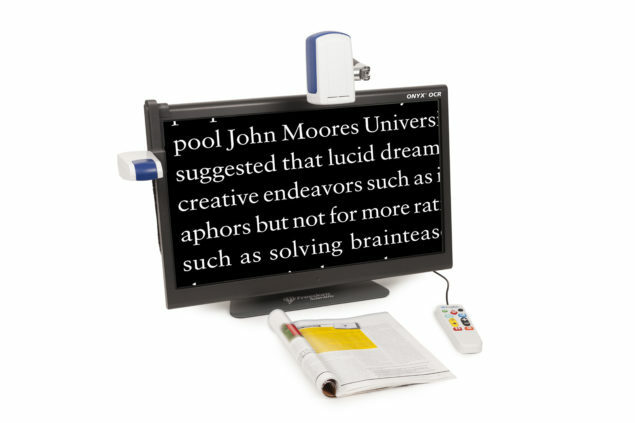 Change your focus from magnified text to letting the Onyx OCR read to you when you become too tired. Just place your document under the fixed OCR camera and activate the speech function. Listen to any documents as it is read out loud by a quality voice and without straining your eyes. 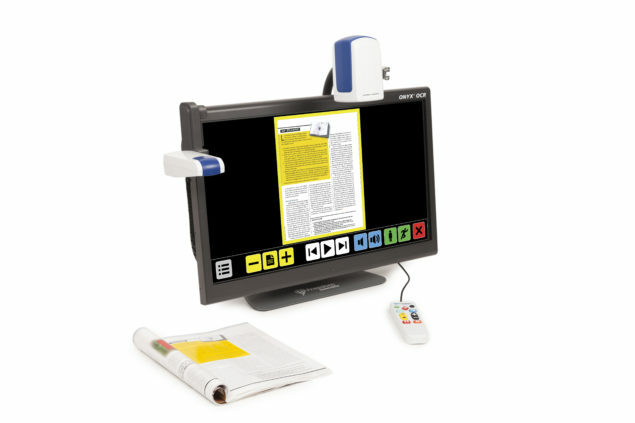 The four-in-one system integrates two separate cameras: one for converting text to speech and one of magnification of documents. 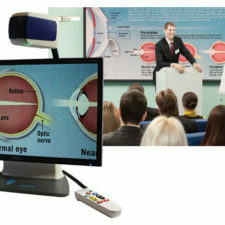 This will allow you to clearly see what you want whether it is across the room or on the table in front of you. 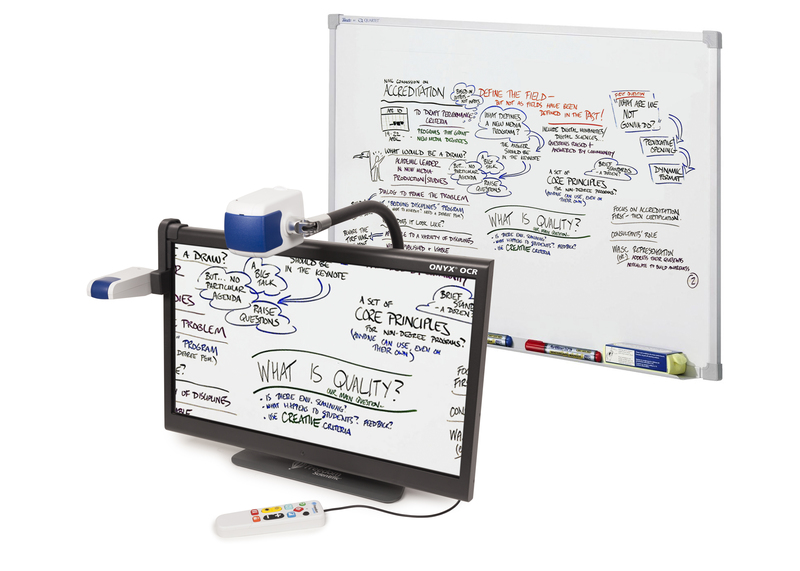 The Onyx OCR Portable Video Magnifier combines the benefits of several video magnification options into one design. 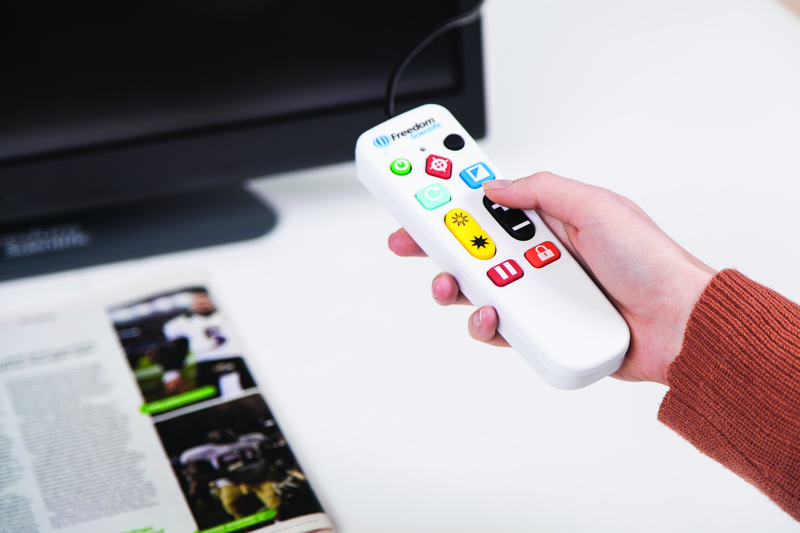 With the four-in-one solution, you can easily magnify text on your desk, write, work on a hobby, view pictures from a distance, and even listen to documents as they are read aloud to you. Easily switch between reading the magnified text and listening to documents. Simply place your document under the OCR camera of the magnifier, tap the touchscreen and enjoy listening while the text is read to you. 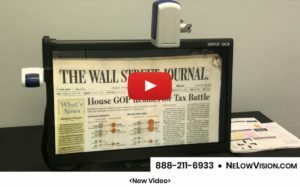 The Onyx OCR Portable Video Magnifier is truly the new age of magnifiers!